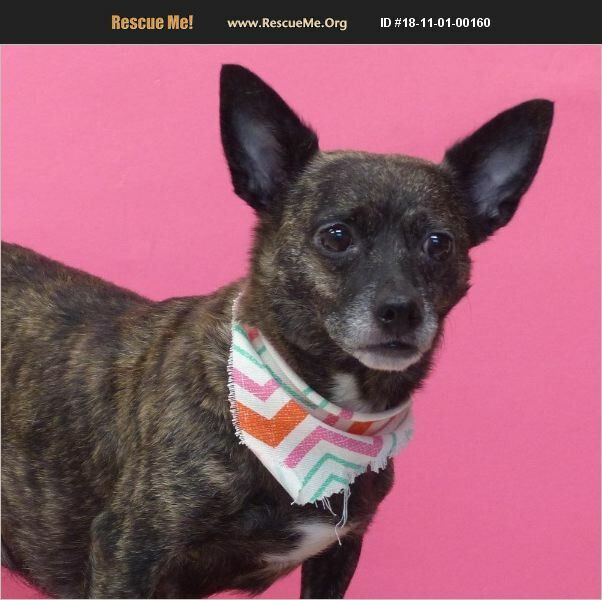 Sadie Chihuahua/Terrier mix Estimated DOB: 8/8/2014 ADOPTION FEE: $175 Sophie just had her last litter of pups and she is ready to become a companion for some lucky person who likes lap time and just hanging out together. She has a beautiful brindle coat and a sweet personality. She is at the shelter waiting for her forever family.